8 January 2019, Naga City – Former foreign affairs minister of South Korea Sung-hwan Kim paid a visit to ADNU President Fr. Roberto Exequiel Rivera, SJ. to discuss the project of Hanyang University (HYU) in Naga city. Kim is currently the head of the Hanyang Volunteer Corps (HVC). On 6 – 18 January 2019 the HVC implemented skills training and outreach activities at Maogma Village, Balatas, Naga City. Some of this community’s mothers are also employed by Kaina, a food service run by HYU and ADNU students at the school canteen. 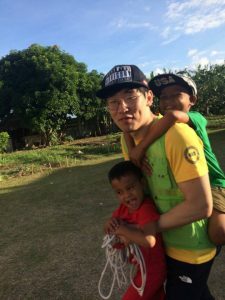 The Korean volunteers spent four hours every day in two weeks teaching Gawad Kalinga-Habitat for Humanity residents basic computer applications, Korean language, popular sports, traditional games, and knitting. A team also visited houses in the said community and local hospitals for data gathering on common diseases in Naga City, and presented their findings on 18 January. The Koreans had the chance to visit the pilgrimage and tourist spots in Naga City and Camarines Sur. On the last day in the village, the HYU students and participating locals shared their personal reflections based on their experiences. One group performed Korean songs, while another showed electronic presentations as outputs. As part of HYU’s continued engagement with the Maogma Village, different batches of Korean students are scheduled visit the same community this year to help develop products that will provide it additional source of livelihood, among other development projects. 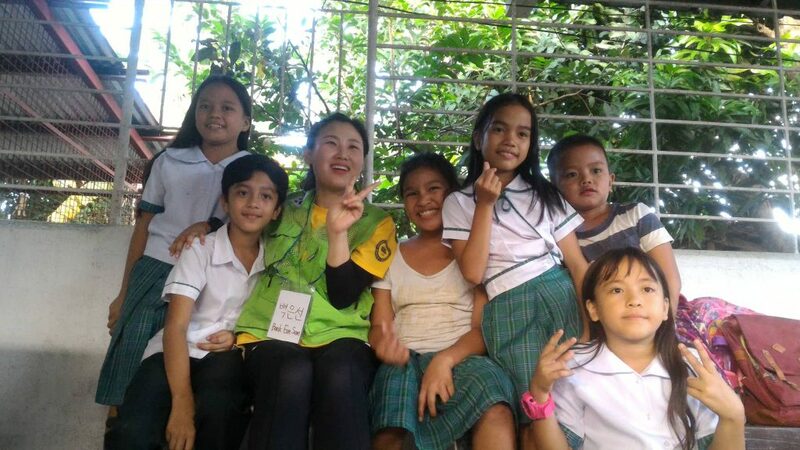 In support of HYU’s project, ADNU students served as translators for easy communication, co-facilitated the parallel activities, and accompanied the Korean students to tourist destinations throughout the project implementation. Since September last year, ADNU and HYU have been discussing possible collaborative academic and extra-curricular programs in the near future. 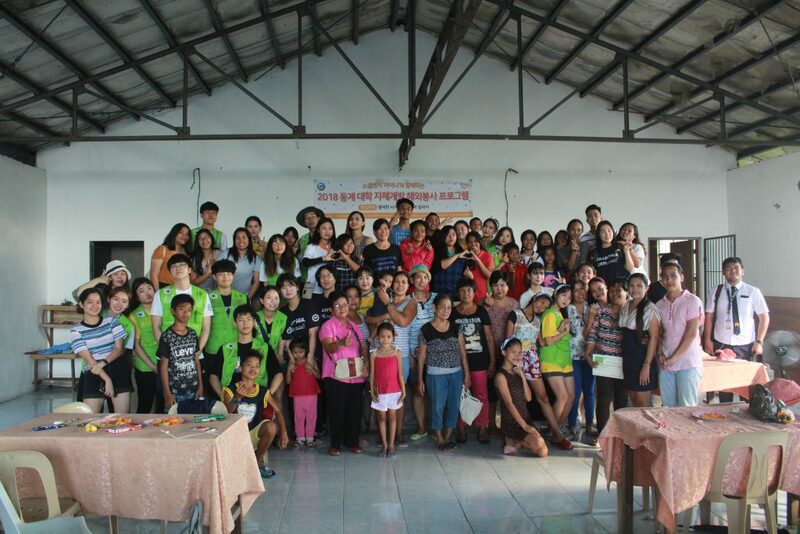 Prior to giving assistance to HYU’s Maogma Village project, ADNU had previously hosted the Social Venture Youth Exchange (2017) and Asia Pacific Youth Exchange (2019). Written by: Rodolfo SB. Virtus Jr.